I was pleased to be able to show my support for a 'Yes' vote in the AV Referendum today. I am fourth from the left in the picture taken in the City Square today. I have been a supporter of electoral reform for a long time. I seconded a motion at the Scottish Labour conference back in 1994 which committed Labour to PR for the Scottish Parliament. I think anything which makes politicians more accountable to their electorate is a good thing. I think the fact that the Conservatives are so opposed to AV tells its own story about why it should be supported. You can find out more about the Yes to AV campaign, Labour Yes to AV campaign and the Labour Campaign for Electoral Reform on their websites. Today as well as teams being out door-knocking Labour had a street stall in the city centre campaigning on Labour's pledge to halve cancer waiting times, so that by 2015 we will introduce a new right to see a cancer specialist and get results within two weeks. 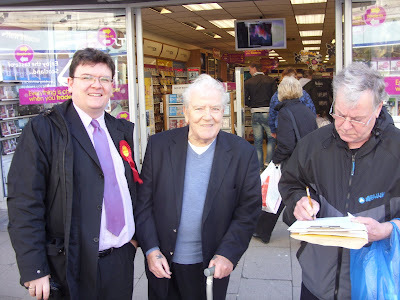 I was delighted that my old friend and Labour stalwart Chic Farquhar signed up to our petition. Along with my colleague Mohammed Asif I signed the Prostrate Cancer Pledge during Prostrate Cancer Awareness Month. Prostate cancer is the most common cancer in men in Scotland. 2,700 men in Scotland are diagnosed with prostate cancer every year, and 19,000 are currently living with the disease. Two men die of prostate cancer every day. Despite this, we still have a long way to go in terms of understanding the causes and identifying the most effective ways of diagnosing and treating prostate cancer - as well as improving the public’s knowledge of some of the issues faced by people affected by the disease. I welcome the report on the proposed National Care Service which was published on Wednesday. There can be no excuse for a postcode lottery in care. Caring for the elderly in our society is an important task for all levels of government as our population ages. We need to treat the elderly members of our society with dignity. High standards of care should be delivered for everyone, no matter where they live. You can read Iain Gray's response to the report here. The National Care Service will deliver fairness in the delivery of care services for the elderly. This morning, along with my ward colleague Fraser Macpherson, I had a meeting at St Peter's Free Church. It was an opportunity to discuss ways in which the City Council and others could offer support for ensuring community use of the halls and church building at St Peter's. The congregation at St Peter's has done a great job in refurbishing this historic building. I am also really impressed with the way that the minister, David Robertson, and the congregation want to reach out to local community in the West End. I am happy to work with my ward colleagues and others to do what we can to maximise the use of this excellent facility. 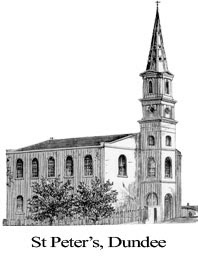 I also think that the council, the local tourist board and others should look at ways in which we can promote the historic legacy of Rev Robert Murray McCheyne who was the minister at this church at the time of his early death in 1843. 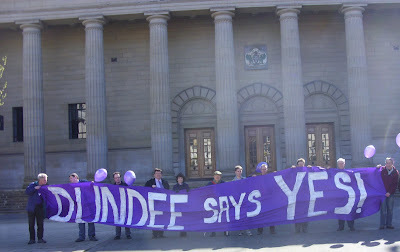 On Tuesday evening I attended the March meeting of the board of Dundee Leisure. I think that Dundee Leisure has done a relatively good job over its short history in delivering services to the people of Dundee and protecting jobs and services. Dundee Leisure will be swallowed up in the new mega-trust proposed by the Administration on the council. I am continuing to serve on the board of Dundee Leisure and won't be serving on the new transition board as I think there would be a conflict of interest there. The board meeting heard an update on the plans to turn the McTaggart Centre into a regional gymnastics centre. I am really pleased that this is progressing as I have been working for this for some time and had been frustrated at the barriers that kept being put in its way. Monday evening saw meetings of various committees of the City Council. There were a number of reports which highlighted changes which are being made to the structure of the council. I was happy to support a motion which raised concerns about changes to the welfare system. I thought that it was important that we resisted the temptation to score cheap political points. The changes to the welfare system will have a real impact on real people right across Dundee, some of them are amongst the most vulnerable in Dundee. The City Council will need to ensure that our Welfare Rights team have an appropriate level of resource to try and ensure that people get the appropriate level of support. Today I moved an amendment at a special meeting of Tayside Fire and Rescue Board calling for the Board to support a single fire and rescue service for Scotland and calling for the single service to be based in Dundee. My amendment was defeated I was disappointed that my amendment was defeated at the Fire Board. I think that there are arguments in favour of a single service. I also think that we should have as our priorities frontline services and better local accountability. I think that protecting local frontline services should be a priority. I also think that we need to take on board some of the concerns raised by Audit Scotland about the accountability offered by fire and rescue boards across Scotland. I know that many people are concerned that a single service would be too focused on the central belt, that is why I called for the headquarters of a single service to be located in Dundee. This would give a clear message that this is a national service. Dundee is well placed to play host to such headquarters being in easy reach of the majority of the Scottish population. Despite the decision of the Fire and Rescue Board to reject moves towards a single fire service in Scotland, it appears to me that it is likely that we will be heading in that direction. If that is the case I will continue to call for a single fire and rescue service to be headquartered in Dundee.